Some people spend their spare time catching up on reading for work; others use it reading for leisure. Some work around the house, if they’re able, others in the garden, if they’re willing. Then there are those who, lest they be struck by lightning, use what little time they may have, sat on a comfy sofa, moving every once in a while to change the DVD. This time I saw The Curious Case of Benjamin Button on a television with a working contrast and incidentally on Blu Ray. I say ‘incidentally’ because if you’re noticing things like how black the blacks are then how good can a film be? It was beautiful, intimate and terribly sad; but then it’s based on an F. Scott Fitzgerald story. I know I will love this film many years from now. 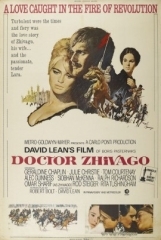 Much as I do Doctor Zhivago, which I watched on Tuesday for the first time in a very long time. Were it made today it would be derided by critics, as I believe it was when first released; but the public loved it – good for them. It’s a mix of stilted English and faux Russian accents and some typically gorgeous set pieces but at well over three hours it was long enough for the faults to melt away. There are “two kinds of women” says Komarovsky, and I once briefly wondered if that was the message, but really it’s about two kinds of love. In the past I was never convinced by the passion for Lara, preferring the selfless love of Zhivago’s wife, Tonya. I’m still not, but it was easier to love the right things back then. Some people love, some question, others live for the thrill. Some change the DVD. 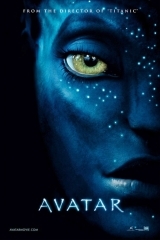 It would be churlish to say I didn’t enjoy Avatar, I’ll be happy to watch it again, I’m sure I’d enjoy the 3-D experience should it be re-shown in the cinema and I may even take my daughter. Because ultimately it’s a fair ground ride or a fast food ‘treat’ and there’s nothing wrong with this except that it’s also deluded, perhaps even dishonest. I can forgive the occasionally crap dialogue and the lazy use of a voiceover, but the none-too-subtle environmental message was opportunistic, lacking any sincerity. I don’t mind eating a burger - but it really pisses me off when someone tells me it’s a steak.